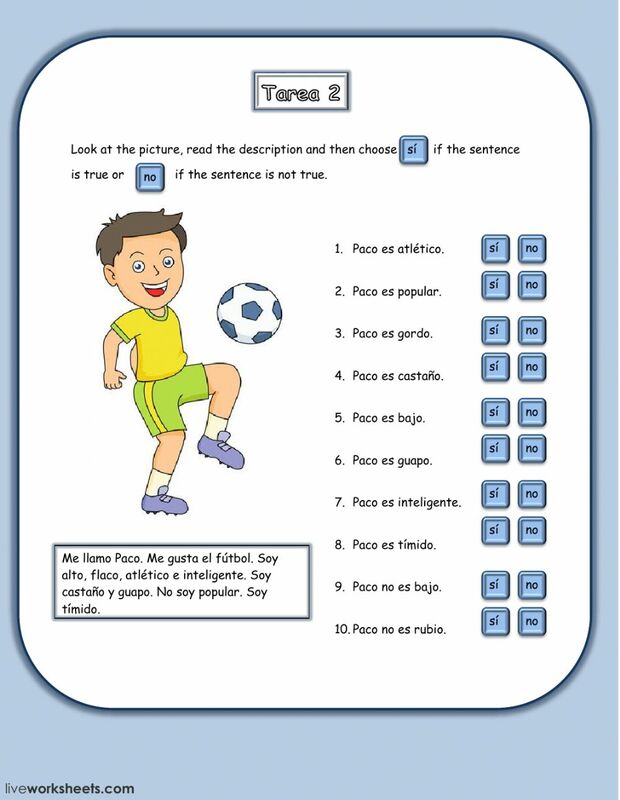 Live worksheets > Spanish > Español como Lengua Extranjera (ELE) > Describir personas > ¿Cómo es? Copyright 4/5/2018 Maria Kalin. Publication or redistribution of any part of this document is forbidden without authorization of the copyright owner.